Samuel Jackson was born in Philadelphia on March 22, 1787, son of pharmacist David Jackson and Susan Kemper. 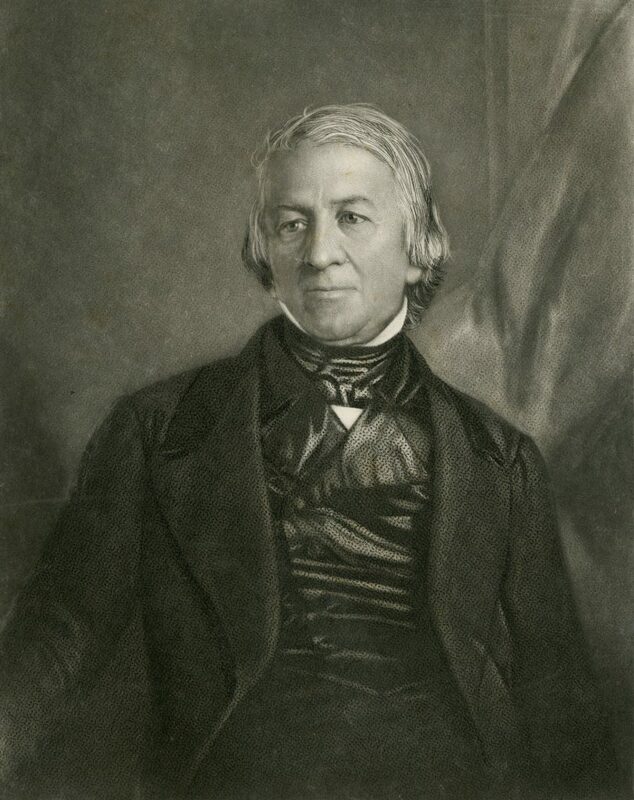 Although Jackson attended the College of the University of Pennsylvania, he did not complete the courses required to receive a degree but instead began his study of medicine under Dr. James Hutchinson. After Hutchinson’s death, he continued at the offices of Dr. Caspar Wistar. Jackson received his M.D. from the University of Pennsylvania in 1808. After graduation, he briefly took up the drug business left by his father and older brother. When the War of 1812 broke out, Jackson joined the First Troop Philadelphia City Cavalry and served with them in operations in the Chesapeake Bay through the war. Jackson sold his pharmaceutical business upon his return in 1815 and began a private medical practice. In 1820, he became president of the Philadelphia Board of Health, and directed its management of the yellow fever epidemic. In 1821, Jackson helped found the Philadelphia College of Pharmacy and was appointed its first professor of materia medica. He also served as attending physician at the Philadelphia Almshouse and as instructor of medical chemistry and materia medica at the Medical Institute of Philadelphia, founded by Nathaniel Chapman. In 1827, Jackson was made assistant to professor Nathaniel Chapman at the University of Pennsylvania, a post in which Jackson was responsible for teaching physiology. When Chapman’s health declined in 1835, Jackson took over as professor of the institutes of medicine and remained in that chair until his retirement in 1863. He would also teach on the wards of Philadelphia Hospital from 1842 to 1845. His medical publications included The Principles of Medicine Founded on the Structure and Functions of the Animal Organism. Jackson’s professional and scholarly memberships included the College of Physicians of Philadelphia and the American Philosophical Society. While in Montreal, Canada, in 1832 investigating an outbreak of Asian cholera on behalf of the Sanitary Board of Councils for Philadelphia, he married the daughter of a British officer. Jackson died in Philadelphia, on April 4, 1872.